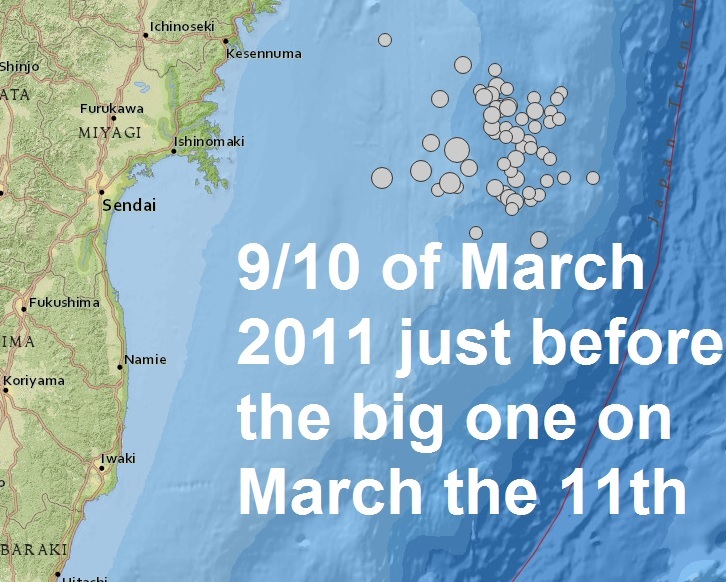 The similarity to the build up to the magnitude 9.0 off the coast of Honshu which killed 15,000 people and caused a massive tsunami and the destruction of the Fukushima nuclear power station is striking to say the least. In the days leading up to the most devastating earthquake of the 21st century many fore-shocks occurred off the east coast of Japan, a cluster of quakes ranging from around Mag 2. all the way up to a mag 6. 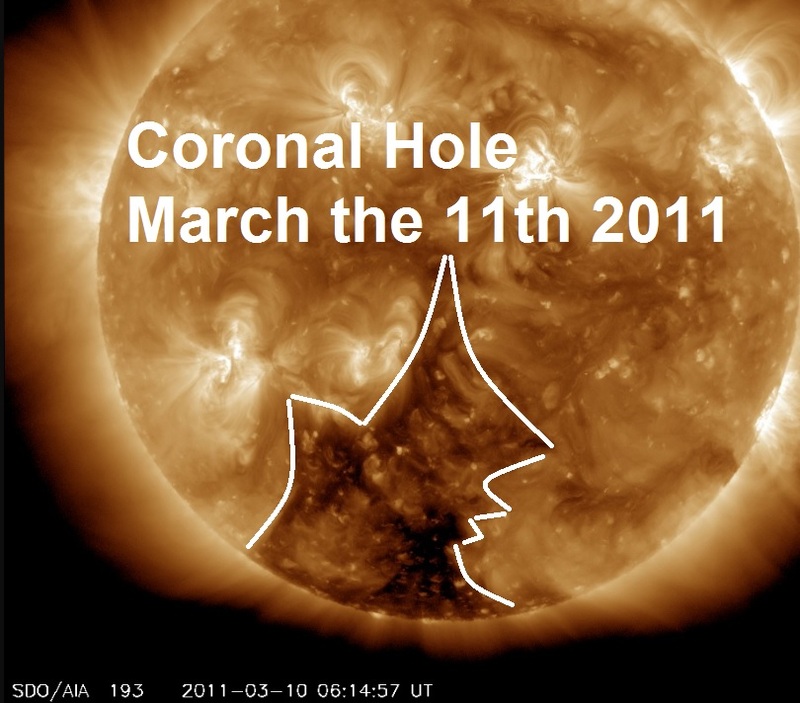 A massive coronal hole was also on our Sun facing Earth on March the 11th, 2011. 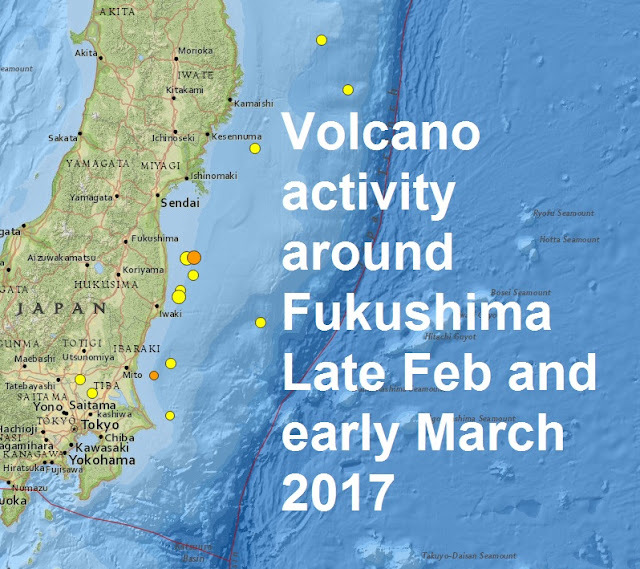 Fast forward to March 2017 and a another cluster of minor quakes have appeared off the east coast of Japan, 14 up to now ranging from mag 5.7 all the way down to mag 3.9. However just two days before the magnitude 9. 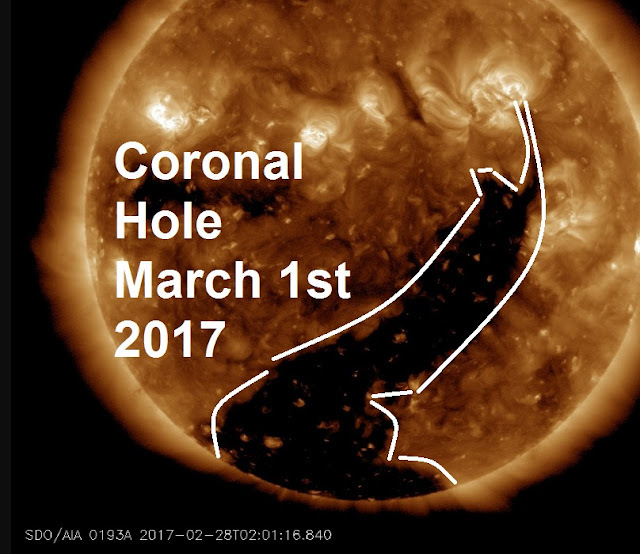 Struck Japan, a powerful X class flare exploded from the Sun impacting the Earth with solar wind. Could the 14 minor quakes be fore shocks to another big one? I don’t know the answer to that of course however, we should be in for major quakes somewhere on the planet in the coming days.